kvz.vaughn (Grade: B+) Very richly layered. I love the way that he weaves through time, space and an ensemble of fantastically developed and unique characters. I also really enjoy Murakami's ability to mix "reality" (that is, believable story line) with more fantastical fiction without taking the reader into science fiction/fantasy territory. A wonderful world he has created! erica (Grade: B) A strange and unusual book following the convergence of a young boy and an old man, with mysterious references to Japanese wars, Beethoven and others, and Greek tragedies. Very dreamy without being a fantasy book, with several complex characters and a dry, clever sense of humour at times. Talking cats and fish that fall from the sky. I enjoyed it. DasFreak (Grade: A) I love Japanese lit and I especially love Murakami. As with his other books, he skilfully narrates the connection between the real and the fantastic with one world "bleeding" into the other with its subsequent impact. 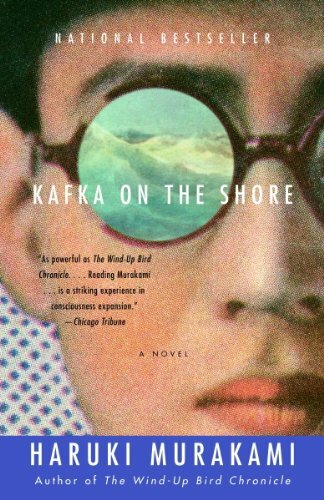 In this vein Kafka is reminiscent of 1Q84 with the competing narratives of the characters slowly pulling them in to a place where they'll meet. In Kafka however the character. PogoMips (Grade: A+) I love this book, it's my personal favorite. I was hooked from the first page, and finished the book in two days.